I want to tell you I do so love my eagle-eyed friends that come to my blog — whether in spotting my featured projects in magazines before I do, or noticing details in the pictures I share on this blog. The scale of background quilting compared to the feathers is… tiny! In order to make the feathers stand out, the scale of background quilting has to be times tinier than the feathers. To pop my feathers, I normally try to quilt the negative spaces (if I decide to… sometimes I don’t) with a scale as small as I can manage. Don’t panic though, I find it is easier to quilt small and tiny in many cases. 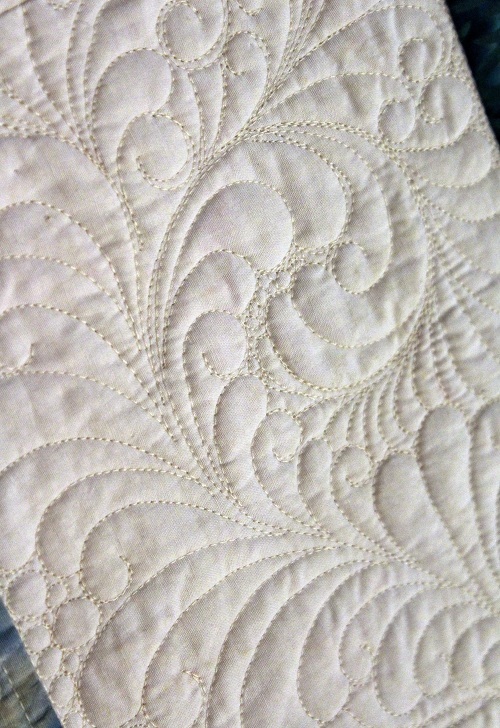 Many of you might have not seen my Harrison Urn quilt block (based on Susan McCord’s quilt) I quilted way back when. Feel free to click here to view more pictures of the block. Meanwhile, Happy Quilting! 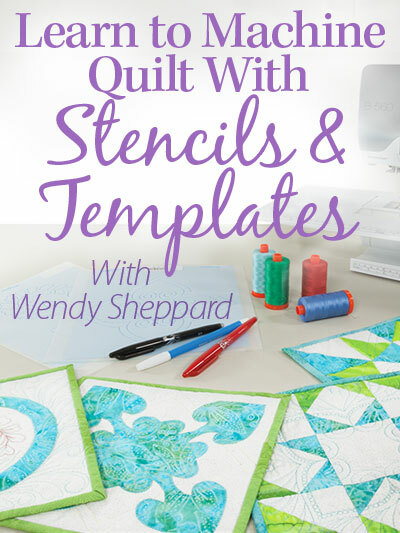 Remember to quilt them small when it comes to background quilting! p.s. Can you believe we have reached our 50th Thread Talk installment?! Thanks so much for your encouragement on my past Thread Talk posts. Your encouragement has kept me going… Stay tuned for a giveaway! 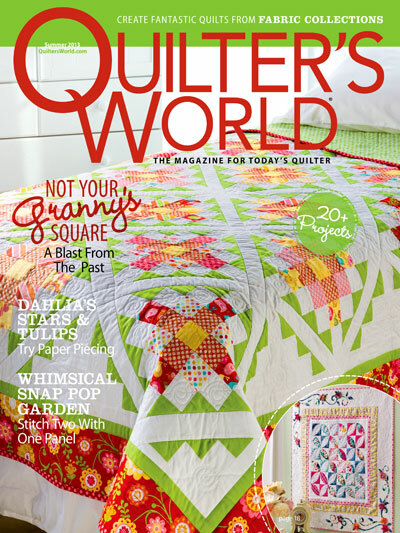 This entry was posted in Quilting, Thread Talk and tagged Feather quilting, Free-motion quilting tips. Bookmark the permalink. 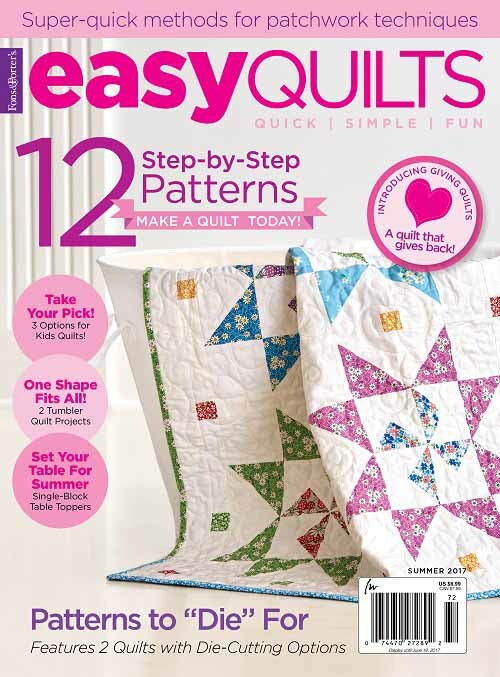 I agree, tiny quilting is often easier than large quilting. Thanks for the reminder. Love what you do. ALWAYS DOES A GREAT JOB!!!! Beautiful Wendy. I’ve been working on feathers like this on my new quilt. Pop over to my blog for a wee peek. I’m very happy with the results. I could never do that in a million years. You continue to amaze me. The feathers and the background are so intricate that they look like they are done by a quilting machine–but I know they are not. Beautiful work, Wendy!!! I enjoy Thread Talks and you are inspiring! So beautiful! 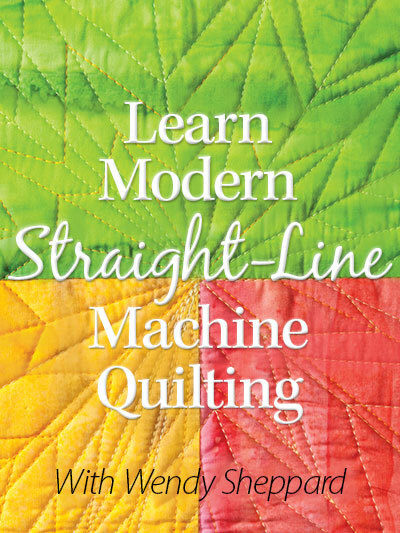 I have never done micro-quilting, do you have any pointers? Is it small stippling or echoing? What do you call it and how do you do it?? It really does bring out the beauty of the feathers! You always inspire me! To me, it is a combination of stippling and echoing. I echo around the micro stipples so that I get an equal distance to give it a more uniform instead of random look. 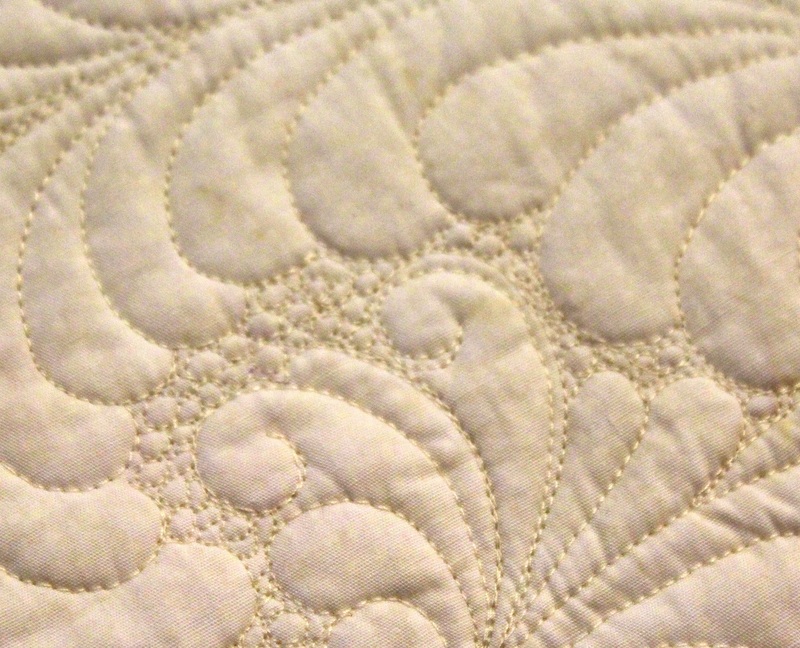 As for pointers — just move your quilt sandwich slowly so that you get that small distances between stitches. Hope that helps, and thanks for visiting. Just looked at the previous post on the Harrison Urn. It is exquisite. 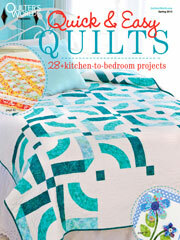 Thank you so much for inspiring us with your gorgeous quilts. This is a very instructive thread talk. I really learned alot. Thank you. Those are really tiny, but what a fabulous job it does to make the feathers pop like that. Love your feathers and the background quilting. 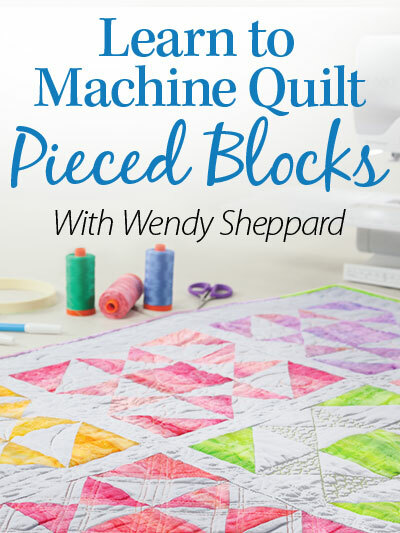 Wondering what thread did you use for the background quilting? I have just discovered your blog and I LOVE it! Thank you for the wonderful pictures. I have bookmarked it, and plan to visit here often. Again, thank you.